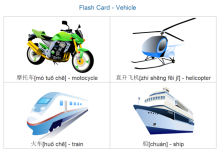 Pictorial flashcards for visual learners to learn Chinese vocabulary easily. 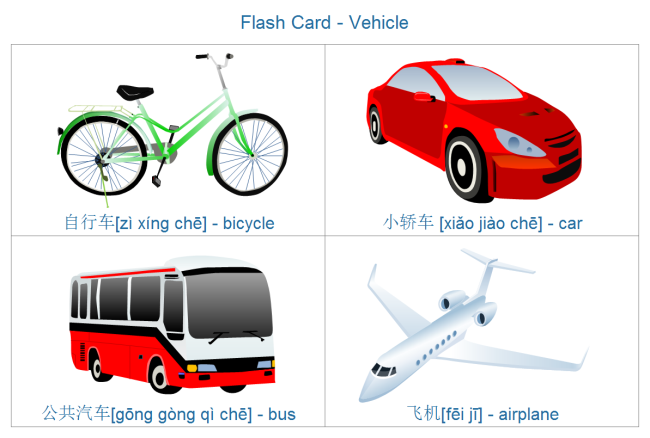 Get an easy-to-use flash card maker here, with many free, editable and printable diagram templates. 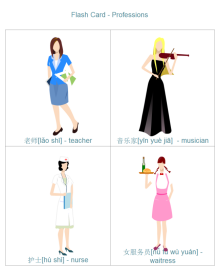 Learn or teach Chinese with pictorial flashcard and have fun. 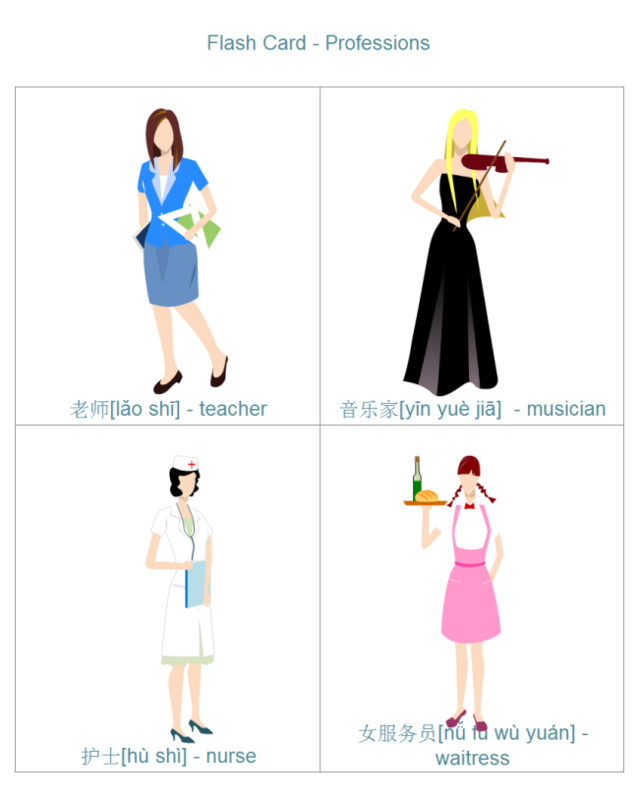 Download free editable flashcards about Chinese learning right now. In this page you will get some flashcards about Chinese vocabulary covering various subjects, for free. 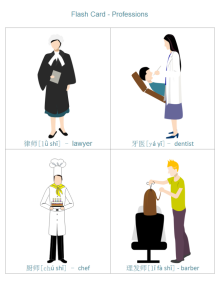 Click the pictures to view large version and download them. 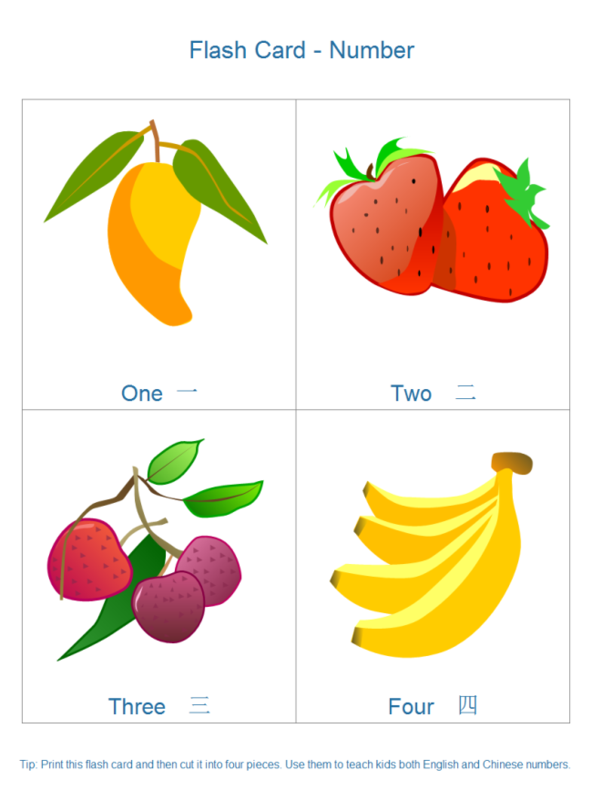 The above flashcards are all created by Edraw - powerful yet easy diagramming software. 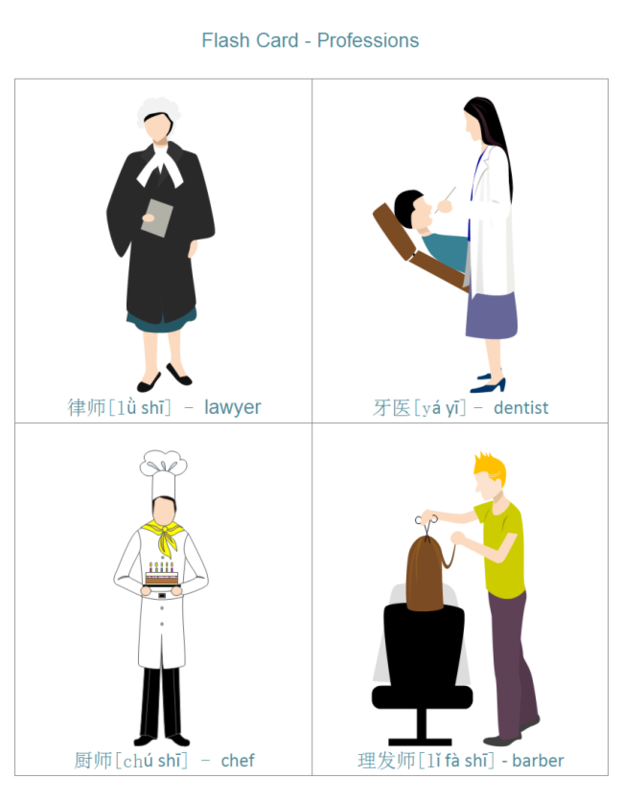 It enables users to gain marvelous infographics even without any drawing skill or experience. 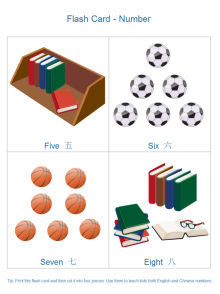 See more visualization techniques for Chinese learning. Edraw is an advanced flashcard creator that includes a plenty of clipart. Over 8500 shapes covering various fields are pre-drawn to automate and simplify the design process. 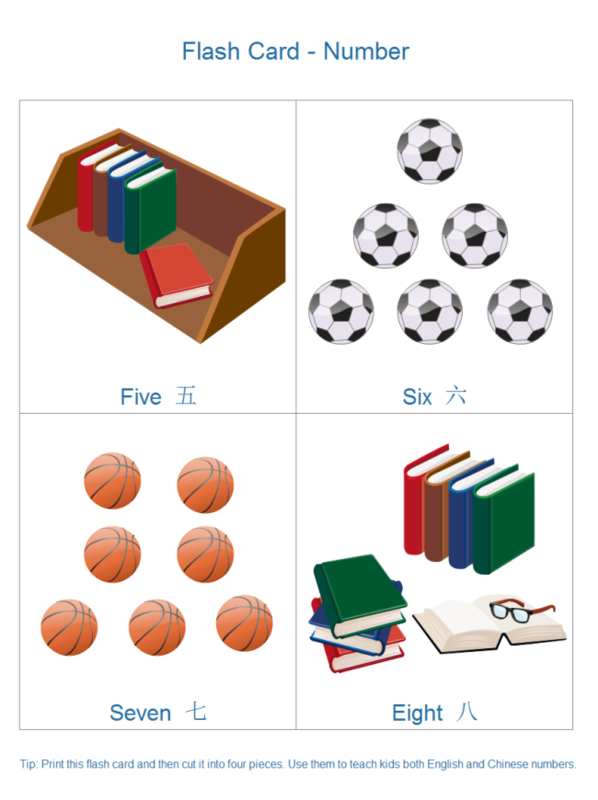 Users just need to drag and drop shapes to gain desired flashcard. 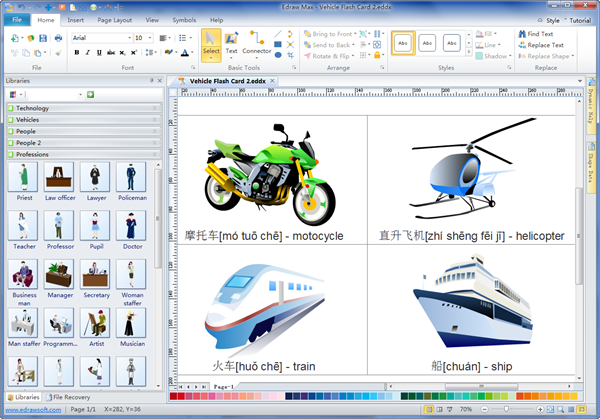 The user-friendly interface is similar with MS Word so that users can handle the tool without learning curve.